Arthur Jafa, Love Is The Message, The Message Is Death 2016. Courtesy the artist and Gavin Brown's enterprise, New York/Rome. Produced by American artist and film-maker Arthur Jafa, Love Is The Message, The Message Is Death is a powerful presentation that traces black history and experience in America. The seven-minute video is a poignant montage of historic and contemporary footage, cut at a rapid-pace and set to Kanye West’s gospel-inspired Ultralight Beam. Love Is The Message, The Message Is Death includes: a civil rights march, former US President Obama singing Amazing Grace at the eulogy for the 9 Charleston parishioners killed by a white supremacist, Martin Luther King waving from the back of a car and Beyoncé in her video for 7/11. These images are combined with footage shot by Jafa himself, including his daughter’s wedding, his mother dancing, and footage from previous works, mixing his personal experience with a collective one. 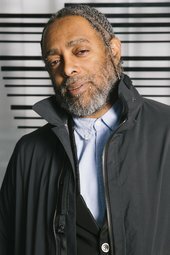 Arthur Jafa is a film director, cinematographer, and visual artist who has worked with musicians and directors, including Stanley Kubrick, Spike Lee, Solange Knowles and Jay-Z. Arthur Jafa. Courtesy the artist and Gavin Brown's enterprise, New York/Rome.